Hello TBV supporters thank you for joining us again. We will be bringing you interviews that have substance, quality, with a laid-back atmosphere. We will be interviewing everyone in the sport of boxing from trainers, boxers, promoters, and people behind the scenes. 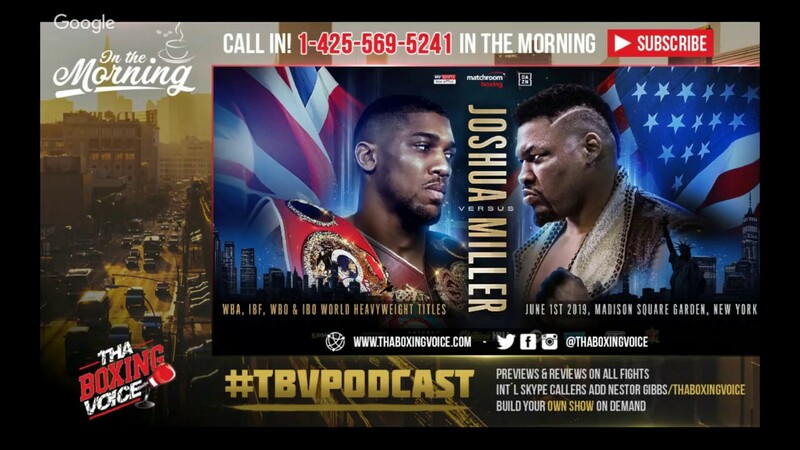 In this edition, We Finally get a Heavyweight Matchup Announcement Anthony Joshua vs Jarrell Miller June 1st Madison Square Garden New York City.